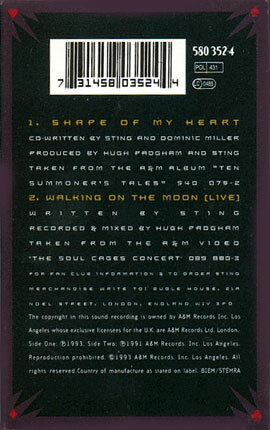 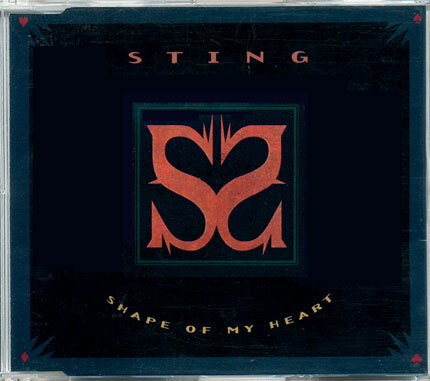 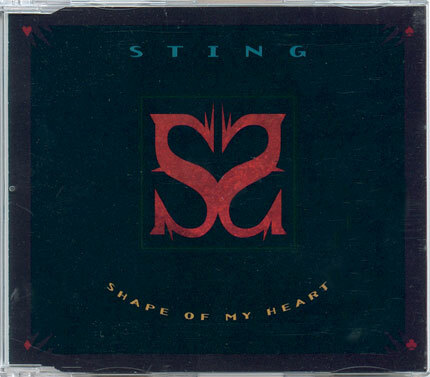 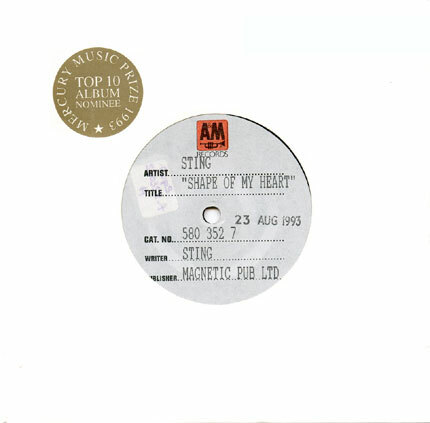 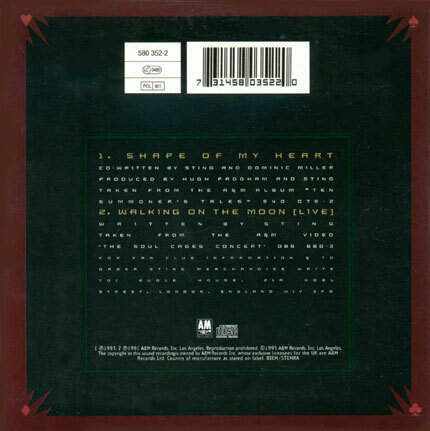 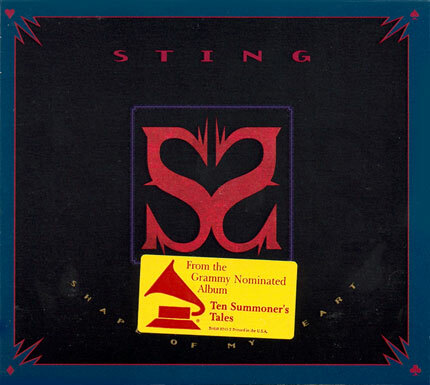 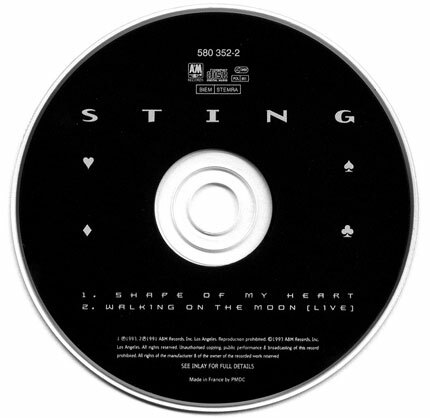 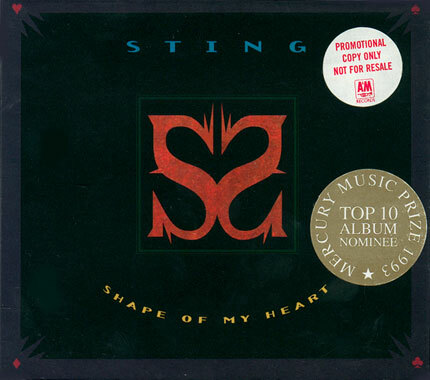 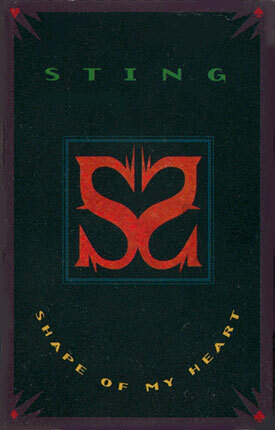 Promo - Dark green surround / red "Sting"
Dark green surround / red "Sting"
Promo - Digipack, dark purple surround / blue"Sting"
Digipack, dark green surround / red "Sting"
Jewelcase, dark purple surround / blue"Sting"; brown surround on back sleeve. 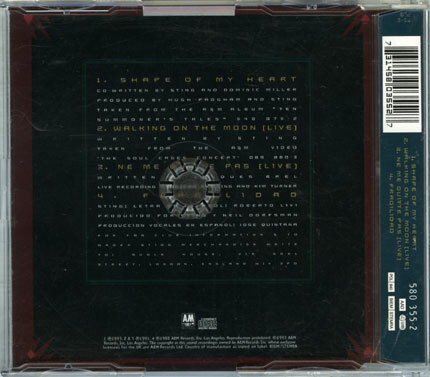 Also, it is the only issue that plays "a day in the life" instead of "Walking on the moon" on the german and uk digipack issues. 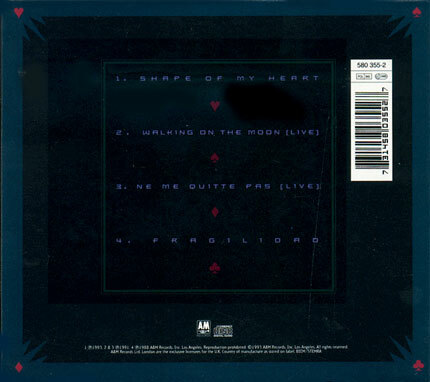 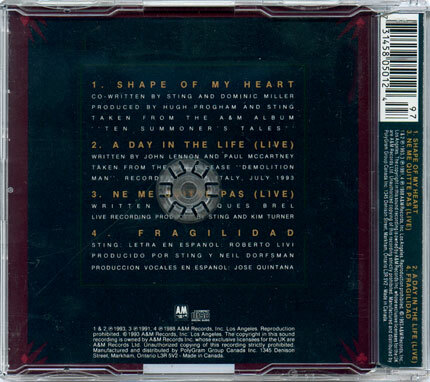 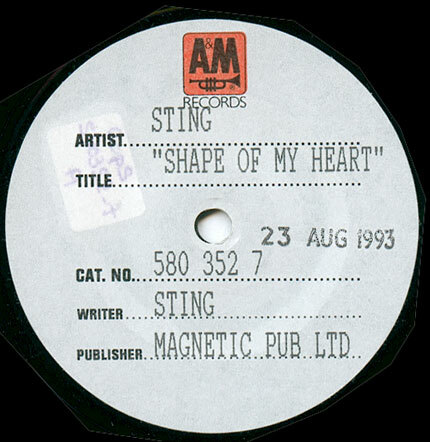 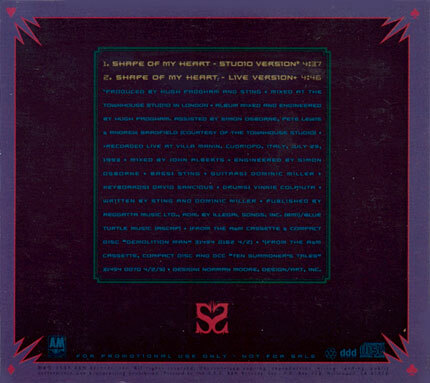 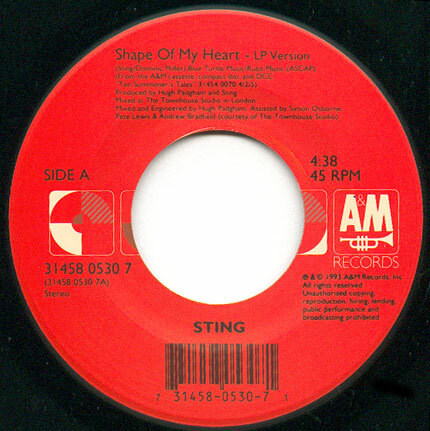 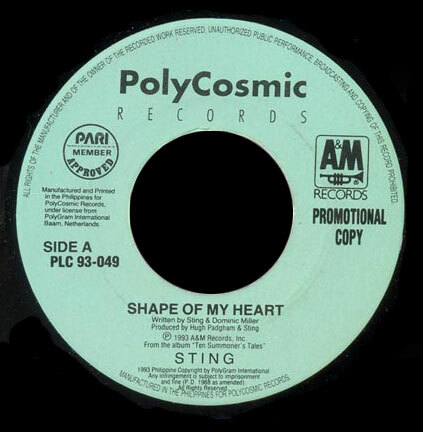 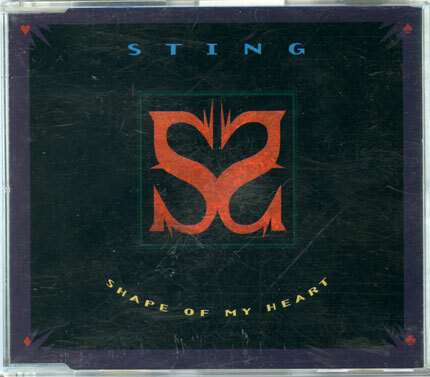 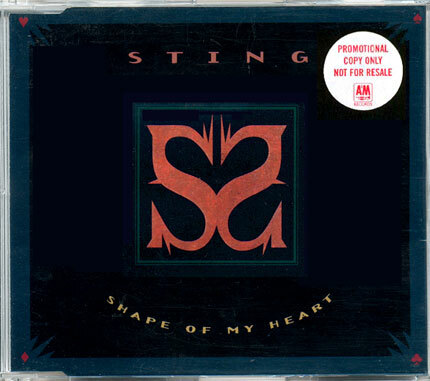 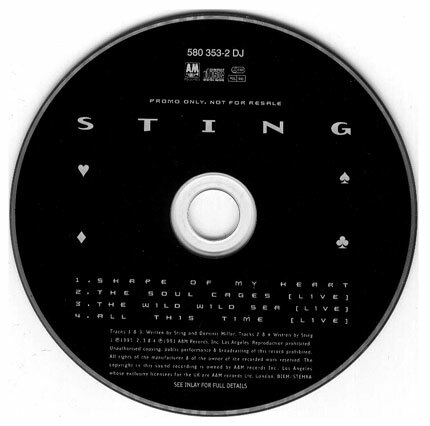 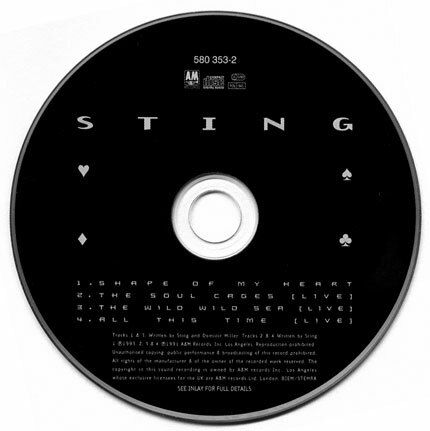 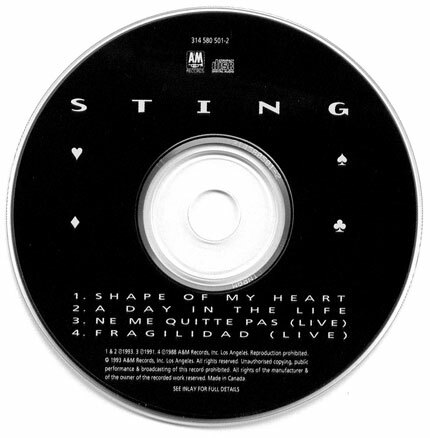 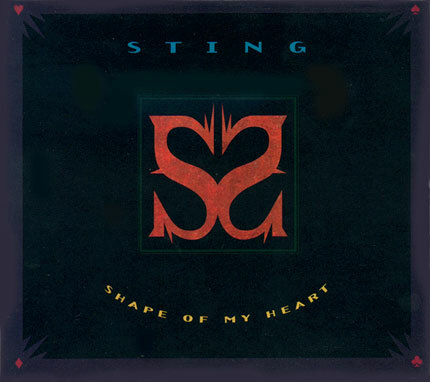 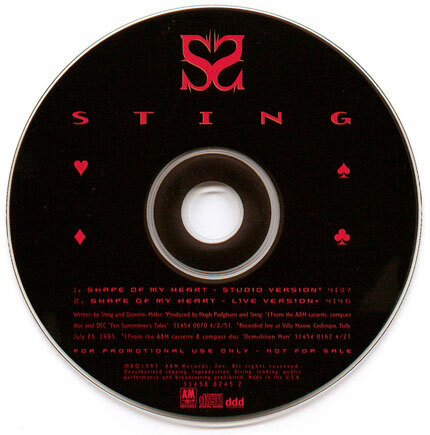 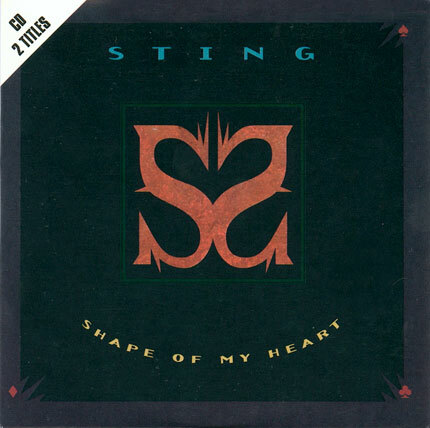 Promo issue with studio version, and live version from "demolition man" ep released at the same time, recorded at Villa Manin, Italy, July 25 1993. 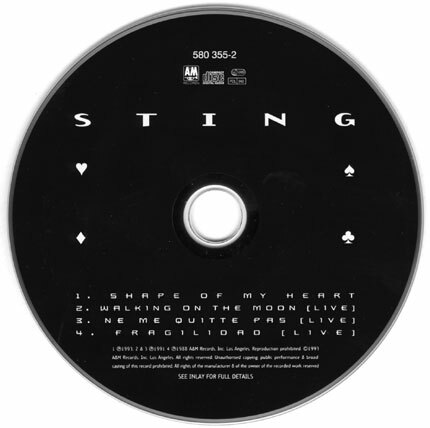 With "If I ever lose" on b-side.